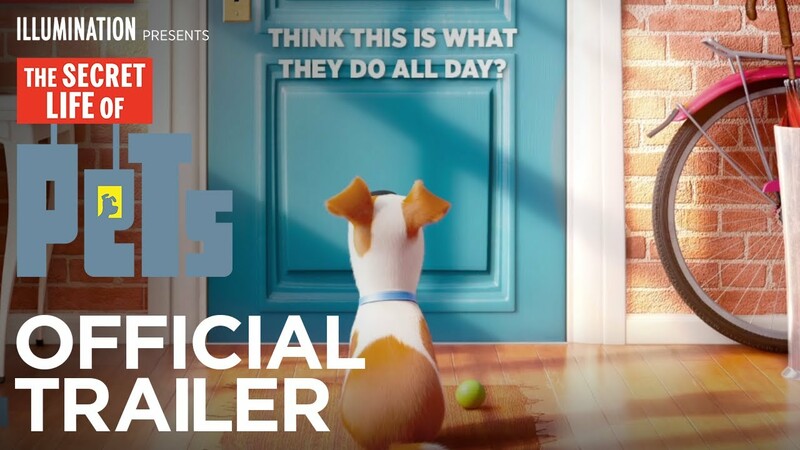 The Secret Life of Pets attractions opening in 2017? Rumors have started up earlier this week by OrlandoInformer of a brand new attraction opening in Universal Orlando Resort and Universal Studios Hollywood for 2017. The rumors started up on the OI Forums and was then placed into the official site as a main topic. And since then, multiple insiders from the industry ranging from Parkscope, USHForums and OrlandoUnited have also confirmed that there are plans to start work for this. Based on the rumors, both parks will receive an E-Ticket Family Dark Ride based on the upcoming film being released in Summer 2016 with the ride system being a Trackless ride (very similar to Poohs Hunny Hunt/Mystic Manor) with multiple AA's and no Screen-Based Tehnology in the form of a giant screen but more practical sets. Nope. Nothing that sophisticated, and not by 2017. That's also going to be the year of "Fast & Furious: Supercharged" and "Race Through New York With Jimmy Fallon", so if a third attraction was to open that year there would first of all, have to have been an official announcement, and also, for something as sophisticated as what you described, construction would have to be happening, unless, dare I say it...this is going to replace the E.T. ride. Also, Hollywood's "Potter" will only be a year old by then. But again, if something that big was coming that soon, we would know about it.. I forgot, that's also the year that "Volcano Bay" opens, or is it 2016? So unless someone thinks they can build a dark ride in less time that it takes to build a water park, or unless construction has inexplicably been going on in secret, which I highly doubt, than no. The Orlando Informer linked to an article that said the company is applying for some kind of permit to use the "Secret Life of Pets" name, for something to go into the "Toon Lagoon" amphitheatre, which has sat largely unused for a few years. I think we may get a stage show. And so many more counting what may possibly be for Wet N' Wilds plot after 2016, and the future of MSHI due to the upcoming changes for Hulk. And then the elephant that will eventually be brought back up in the future that's Potter, Universal is a juggernaut of construction, thanks to major groups like Nassal (which was apart of Diagon and is finishing Kong to work on VB) and many others. It'd be also wise to consider that Disney and SeaWorld (do not forget) are waking up to Universal and Comcast knows this also. They've stated that they want to bring something to all the parks in Universals chain for atleast every year (and it has, in albeit a fascinating way). Also, Hollywood as much as its getting potter which WILL be a people eater, the park still has a small capacity as they expand to the Lower Lot in the future with more projects along the way over there. It'd have to be inevitable that Universal is taking things one step forward in many ways, and TSLoPs (as much as its smart to think that it could be a bomb) will most likely make bank in the box office. Sure, you're extremely right that its an extremely sophisticated ride in what the rumors entail, but Universal, Comcast, has never been shy from. And I think that's going to be our lesson when TSLoP comes around at the parks.